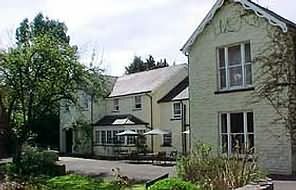 Talybont-on-Usk accommodation in friendly Talybont-on-Usk hotels, B&B, Bed and Breakfast, homely Guest Houses, cosy Holiday Cottages, congenial Country Pubs and Inns, luxurious Talybont-on-Usk Country House Hotels and Caravan and Camping sites. Ideal for groups, best booked as a whole (up to 28 people) - Four beautifully situated cottages surrounding a very attractively landscaped farm courtyard. Perfect accommodation for reunion or large family holidays. All cottages have superb views and are peaceful, rural yet light and airy. 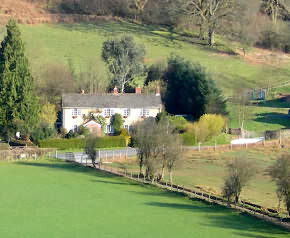 The farm is a 300 acre estate which lies along the banks of the river Usk and is bordered by the Brecon Beacons. Extensive walking from door. Outdoor activities available locally include walking, climbing, clay pigeon shooting, canoeing, tennis, swimming, sailing, golf, biking, and riding. Within walking distance guests will find a general stores, garage and pubs. Brecon and Crickhowell (8 miles) offer shops, banks, libraries, churches, pubs and restaurants. Bed linen, television, parking,heating, microwave, washing machine, tumble drier, large dining/meeting room, large paved area, mobile tel reception, telephone, children welcome, sorry no pets, smokers accepted. "A special place to stay in the Brecon Beacons National Park"
Homely rural B&B in an idyllic position at the head of Talybont Reservoir, 5 miles from Talybont-on-Usk. 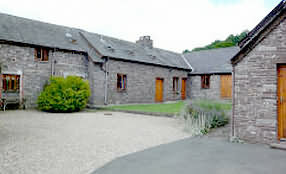 Ideal for walking (on Cambrial Way, Taff TRail & The Beacons Way), Cycling, bird-watching, for just unwind and relax. Transport to the village for your evening meal will be provided if required. The national Park stretches from Hay-on-Wye in the east to Llandeilo in the west and incorporates the Black Mountains, the Central Beacons and Forest Fawr as well as moorland, forests and gorges, offering the outdoor enthusiasts a massive array of activities including hill walking, mountaineering, canoeing, bird watching, fishing, mountain biking, paragliding, horseriding and sailing on Llangorse lake. Cycles can be hired in the village of Talybont. Up to 10 persons. 6 rooms, some ensuite. Comfortable lounge with television, tea making facilities and wood burning stove. 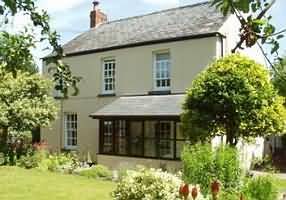 Self catering available in ajoining cottage. into a country inn and restaurant with rooms of excellence. The Usk has been completely refurbished in sympathetic style, returning to it the atmosphere and ambience of a traditional village inn. The spotless bedrooms are bright and cheerful, finished in a refreshing choice of colours. The Usk's location is as good as it gets - attracting a healthy local trade as well as visitors to the Brecon Beacons National Park. It's close to the heart of the Beacons, and also handy for South and Mid Wales. Guests can go walking, fishing or cruising the Monmouthshire and Brecon Canal, which flows through Talybont. There are now 11 bedrooms. Each bedroom carries the name of a bird often found along the banks of the River Usk - Kingfisher, Dipper, Heron etc. The bedrooms are decorated individually with charming style and furnished with locally made pine furniture. All are ensuite. 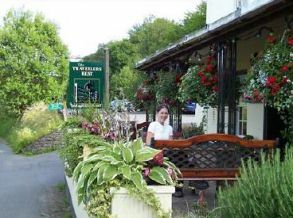 In the village of Talybont on Usk, at the heart of the Brecon Beacons, there lies a pub. A pub that by the warmth of it’s welcome, the quality of its fayre and the comfort of its accommodation holds a place in the hearts of folk from far and wide: of walkers and mountain bikers, of couples from Merthyr and families from Munich…This pub is known as The Traveller’s Rest. Come in, dry out your boots by a blazing fire, savour roast lamb, fresh salmon or a grilled feta salad, sit back, drink and talk until your head starts to nod, then sink into a bed and dream….of doing it all again tomorrow. 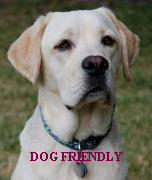 The beauty of offering accommodation on a small scale is the personal service we are able to provide. When you call us to book, we will be happy to discuss your needs with you and help you to select one of our variety of accommodation options. Each one of our rooms or apartments has its’ own access, so you can come and go as you please throughout your stay. Please feel free to call us for reservations or to help you plan your stay. Remember, don’t email us, we like to talk!